The study aims to both help parents find reliable childcare, as well as meticulously document their own experiences. PHOENIX — From top restaurants to moving companies, you have probably used Yelp before to find businesses to use. But have you ever thought to use the website to find a daycare? The site can sometimes be a dumping ground for complaints. So, is it credible when looking for someone to look after a child? Researchers at Arizona State University decided to find out . The study included 40 cities and roughly 50,000 submissions on nearly 10,000 childcare facilities. Three of those 40 cities were Phoenix, Mesa and Tucson. Researchers tell KNXV even they were shocked by the findings. They found, through the reviews, that a majority of parents were meticulous and detailed. More than 75 percent gave a 5-star review. 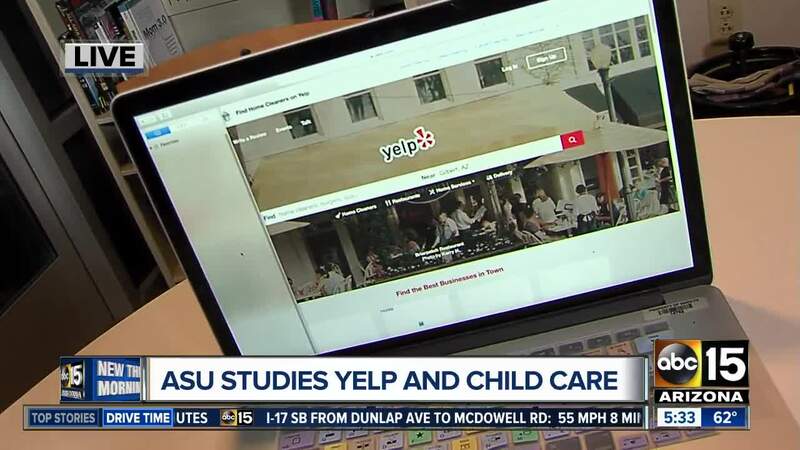 As for why they decided research like this was important, ASU said they wanted to see exactly what parents were looking for in childcare, what they were saying in these reviews and how uncovering that could lead to policy changes that could benefit all children. But, despite overwhelmingly positive reviews, lower-income families often reported more bad experiences, disrespect and a lack of learning for their children. Chris Herbst , an associate professor at ASU, was deeply involved in this study. He hopes this research will encourage parents to keep documenting their experiences. "It provides this sort of learning loop for childcare providers," Herbst explained. "So, if providers know the parents... feel a certain way about the program, then providers can use this information to inform their... quality improvement activities." While these reviews are a good start, Herbst stresses that parents have plenty of tools they can use, beyond just basing it on online reviews. One suggestion he gives is using the Quality Rating and Improvement System . 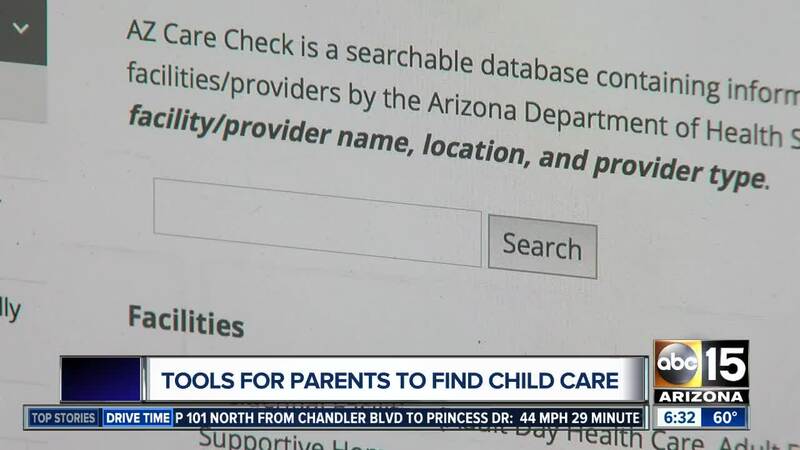 Parents can search their state and look-up different facilities to see how this system evaluates and rates the program's quality. KNXV also reached out to Erin Raden for more tools and advice for parents. She is the executive director of the Arizona Early Childhood Education Association . In regards to using online reviews like Yelp, Raden said it is good to use. However, it should not be the only way you make a childcare decision. "You may have a parent that's upset about something," Raden said. "And that might be the right choice for them to no longer take their child there. But that doesn't mean that it wouldn't be the right choice for you." Raden also suggests taking your time and visiting at least two or three facilities. "It's just going to be a lot about what feels right to you and you should always trust your instincts," Raden explained. She said that it is not about a facility being the most beautiful place, but instead look at how the students are engaged with their instructors.